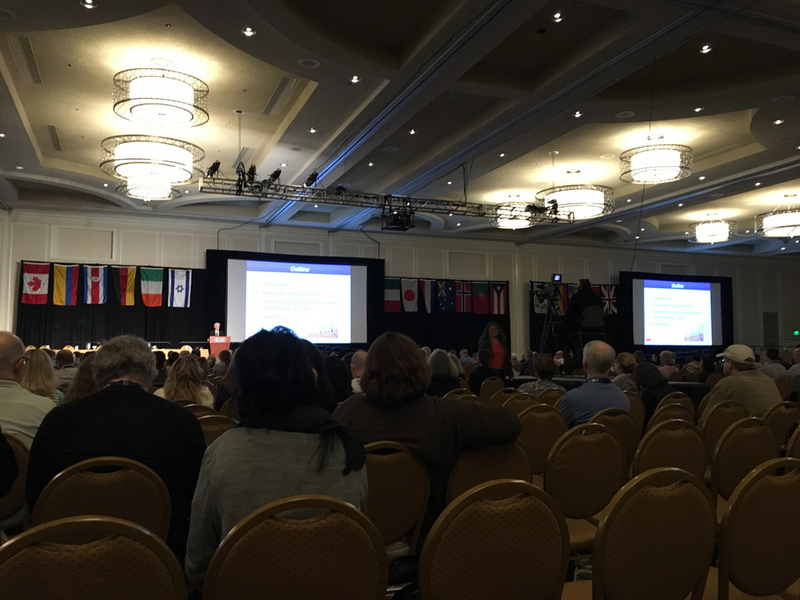 This is our third and last blog summing up a wonderful 2017 International Seating Symposium in Nashville. I had the privilege of presenting a workshop on the topic of “Positioning the Head.” A great group gathered in the ballroom in search of answers for those clients who persist with less than desirable head positions despite our best efforts. Now, I tend to throw chocolate in my sessions, and I have a pretty good arm, but I could only throw about a third of the length of this room, so I encouraged folks to move up for chocolate – and to see the screen! Positioning the Head starts at the pelvis – and so did we. We must do a thorough seating assessment to provide the alignment and stability below the head in order to optimize head control and position. The next step is to find a point of balance for the head over the pelvis. This can be greatly impacted by trunk asymmetries, particularly kyphosis. Even for clients with little head control, finding a point of balance helps the client to stay in contact with a head support. Finally, we explored various support options at the posterior head (suboccipital and occipital), the lateral head, the anterior head (forehead and under the jaw), and even the superior head (the Head Pod). This force reduction can reduce injury to the client at the cervical area and also, in clients who contact the wheelchair head support with sudden force, reduce the likelihood of injury to the brain. Wheelchair headrest and head support mounting hardware is less likely to move out of position or even break from these forces. Overall extension may be reduced, particularly when the wheelchair head support is used in combination with other dynamic wheelchair components. For further information, see our Downloadable Information for a downloadable version of the Proceedings Paper for this session, or view a video recording of the session.